You know, we are almost at the one year anniversary since Nokia merges with Microsoft to become what we now known as Microsoft Mobility. And since then, the company has been focused (almost exclusively) to entry-level device, and this is just another proof of it. Yesterday, we got some lease of a RM-1109 from Microsoft, which I prematurely assume to be the Lumia 1330. 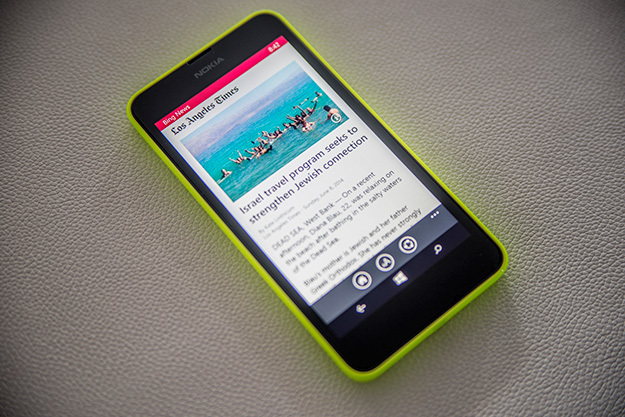 That big battery turn out to be for a Lumia 640. The site that found the RM-1109 records has tracked down another piece of document, indicates that the device bears the code name is the successor of the Lumia 630, which was announced almost a year back. Now, seeing as the Lumia 640 is just a dual-SIM variant of the single-SIM Lumia 635, this device is in the similar division. The Lumia 640 is a dual-SIM device. We also got another source from Hungary, who obtains some spec-sheet of the Lumia 645, the single-SIM variant of the Lumia 640. According to Telenor, the phone will be featuring the usual qHD 480 x 854 display. We also have the quad-core 1.2GHz Snapdragon 400 SoC and 8GB of built-in storage. However, there are two things that would raise the flag: 1-This source reports a 1830 mAh battery instead of the huge 2500 mAh battery that we heard yesterday-and although it sounds like a downgrade, the 1830mAh battery sounded more plausible than the yesterday rumors. The next flag is the 1GB of RAM that this device will be featured. This is quite strange, since most of the Lumia 600s and under usually bears the 512MB of RAM. At the moment, none of this can be verified until MWC, which is when the press-embargo will be lifted for this handset. Let’s just wait and see what we’ll get. Reblogged this on TK Tech News.